Florence is one of our favorite places in Italy. I (Lindsey) studied abroad there and was so happy to be back in this city. We have so many restaurant recommendations from our recent trip and from being there 6 years ago, so scroll to the bottom for the master list. Below is a recap of everything we squeezed into our short weekend visit. Duomo: The Duomo is right in the center of the city. You can buy tickets to climb to the top (366 steps), its kind of a hike, but worth it for the views. The David: The David is located in Galleria dell'Accademia . Of course it is best known for Michalangelo’s seriously hunky man sculpture, but there are also other interesting pieces of art as well. It’s worth a visit! Uffizzi Gallery: This is a very popular Art Museum with a ton of amazing work. It’s closed on Mondays and always a long line, so it’s best to get there early. Piazza le Michelangelo: This is another spot where you will hike up to see some beautiful views. If you don’t get to walk up to the top of the Duomo (line is also insane during the tourist months) This spo is gorgeous. You can also take a cab if you’re feeling lazy. Pitti Palace: Take a walk to the other side of the Ponte Vecchio to visit the Pitti Palace and Boboli Gardens. The palace is where Medici lived and the gardens are gorgeous. Santa Croce: If you want to go see the church next to the Duomo where some important people are buried. Jewish Quarter-Synagogue: another great Jewish Quarter and Synagogue if you’re into that sorta thing. Santa Maria Novella: Another pretty church right near the train station. Leather Market: Venture to the leather market for jackets, wallets, belts and more. You’ll want some genuine Italian leather. Don’t forget to bargain. Gucci Museum and Gucci Garden: The museum is cool to see and the garden sells amazing shoes, bags and clothes. They make one one of a kind Gucci products and only sell one of each size. Once it’s sold out of the Gucci Garden they don’t make them again. They have awesome pattered loafers and wallets. Of course there are so many amazing piazza’s and small museums to visit as well! These are just the top of the list. Here are some of the places we went to on our recent visit- we only had Friday, Saturday and we left on Sunday morning for Tuscany. This spot is known for their deliciously fluffly and instagrammable <3 pizza! Tre Panche also known as 3 benches is a small restaurant a cab ride away from the center of city. We walked in and we were immediately disappointed to hear that the previous owners left. The old owners were an adorable older couple (the wife was the chef and the husband was the waiter). The new management reassured us that the menu was very similar and not much has changed. We were surprised, but they were right. 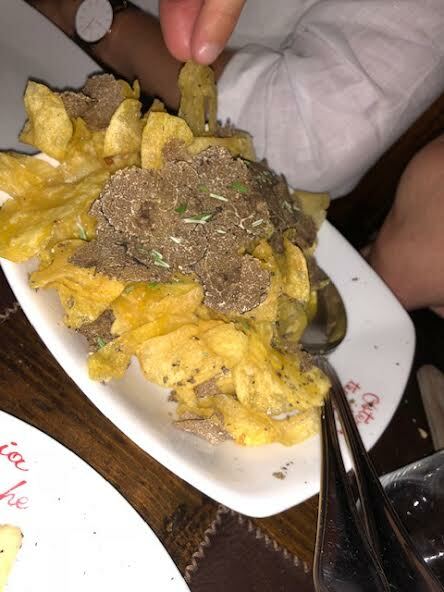 The food was on another level, plus they added a bunch of items with truffle or where you could get extra truffle on top. We seriously recommend this adorable place with just 3 long benches for one of your nights in Florence as long as you’re not afraid to talk to the people sitting next to you. 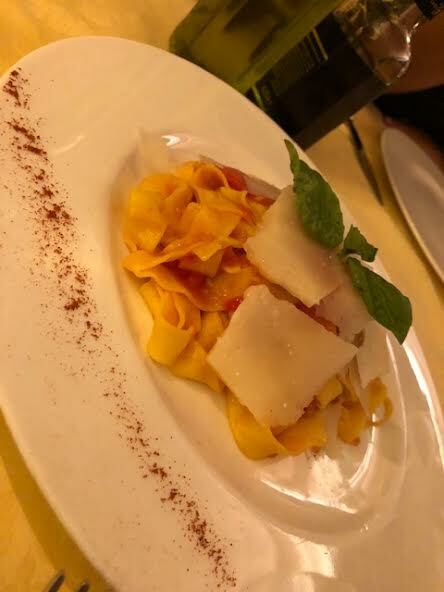 We originally had a reservation at La Giostra (another favorite of ours), but we changed our reservation to Trattoria Pandemonio di Casa Brogi at the last minute. We kept hearing amazing reviews and had never been before, so we thought we would try somewhere new. 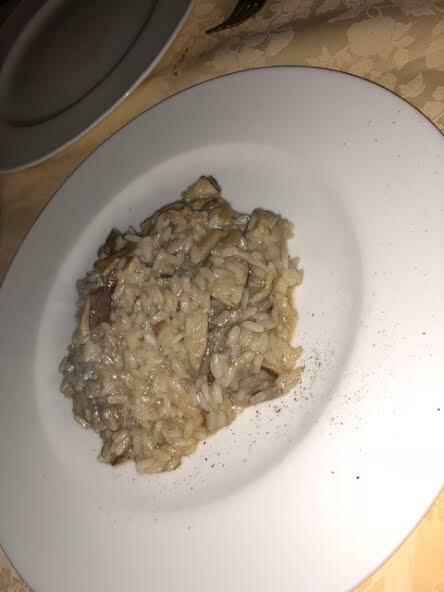 We liked the food alot, but it definitely didn’t live up to the hype. If you have alot of time in Florence- it’s definitely worth a visit, but not if you have only 2 nights. Antico Noe: This place is great for amazing sandwiches if you’re on the go. Aqua Al Due: Get the Blueberry steak! You will not regret it- it sounds weird but YUM. There’s also a DC location, so if you’re in DC- go check it out. 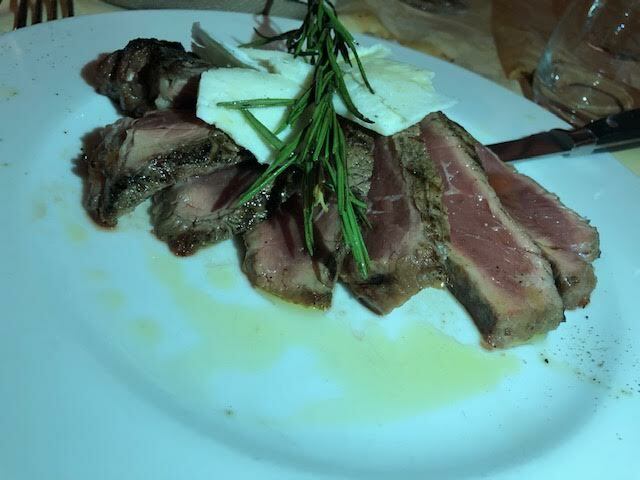 Osteria De Agnolo: This is another great restaurant. They have really good Penne with chicken and broccoli. The pizza wonderful and portions are large. Mama Gina: This is a great spot with amazing Eggplant Parm. Anna’s Bagels: decent bagels if you’re craving them. La Giostra: THIS IS A MUST VISIT. You don’t want to miss their pear ravioli. Za Za: I love this place!!! 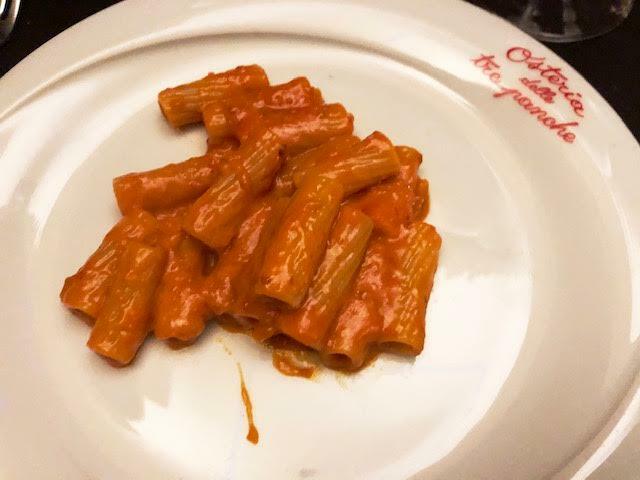 They have omelettes for brunch and I loved the Penne Vodka. l Latini: This is great for a large group. They send you what they have in house and love to give you an exuberant amount of alcohol. Golden View: a classier place with the most amazing lemon chicken. Festival: the best Gelato we found! Secret Bakery: Right near Vivaldi in an alley around the corner from the bars Red Garter and kikuya. You can smell it from around the corner. If you stay up late enough- I think they start making fresh pastries around 1, go knock and see if they’ll get you buy some fresh late night!